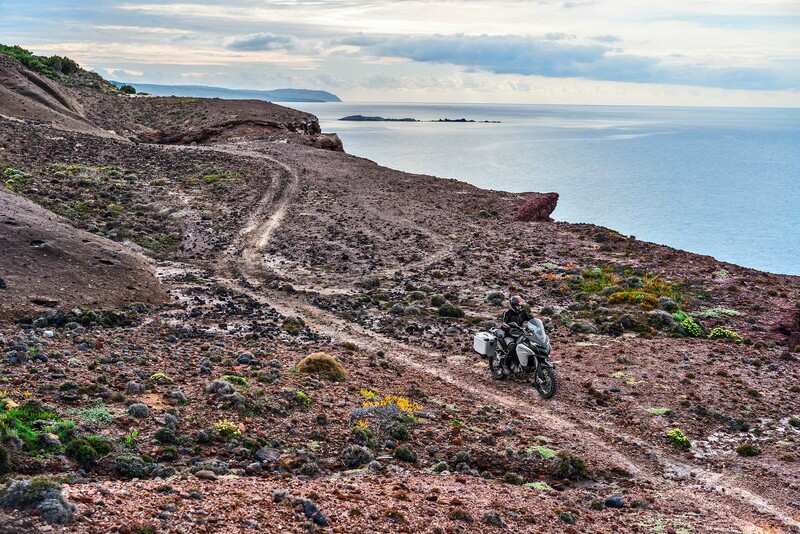 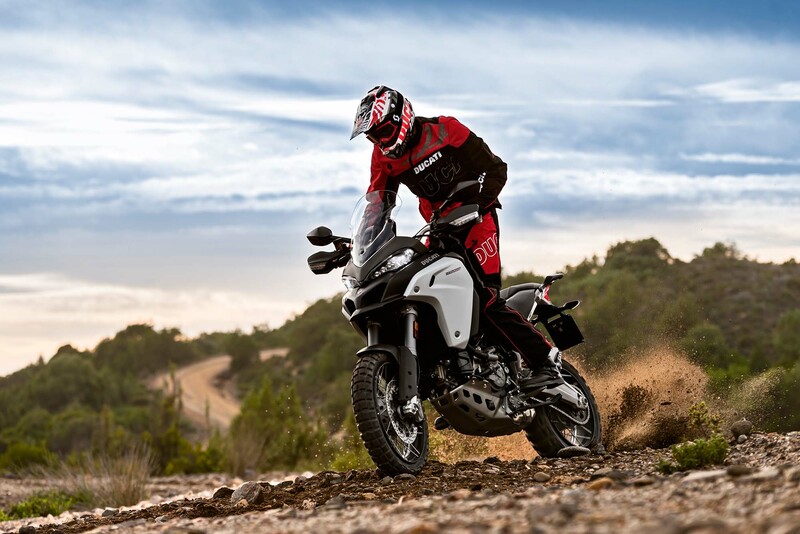 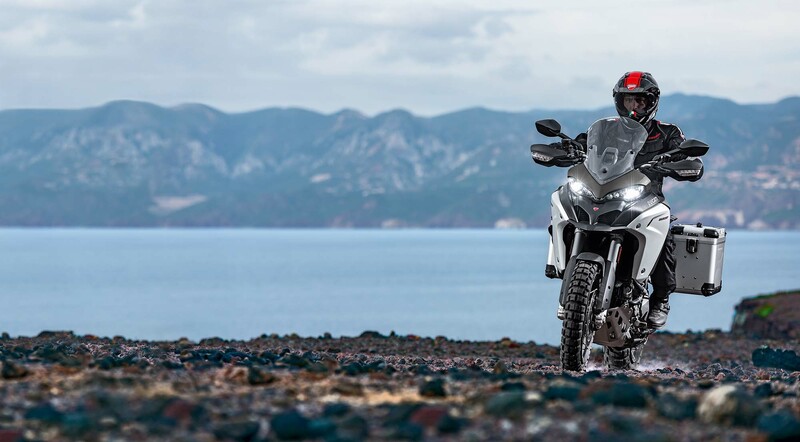 This is Ducati’s first real foray into the adventure-touring segment of motorcycles, and the 2016 Ducati Multistrada 1200 Enduro promises to up the ante on the Multistrada 1200’s off-road ability, with a purpose-built trail stomper. 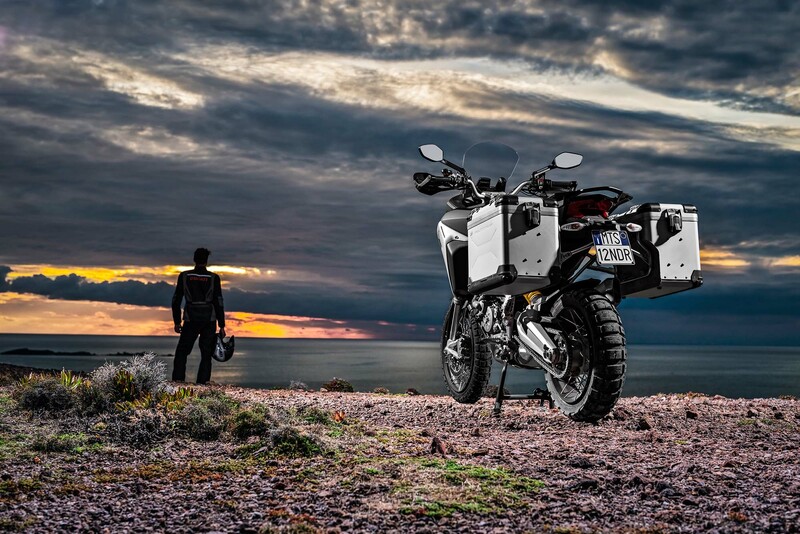 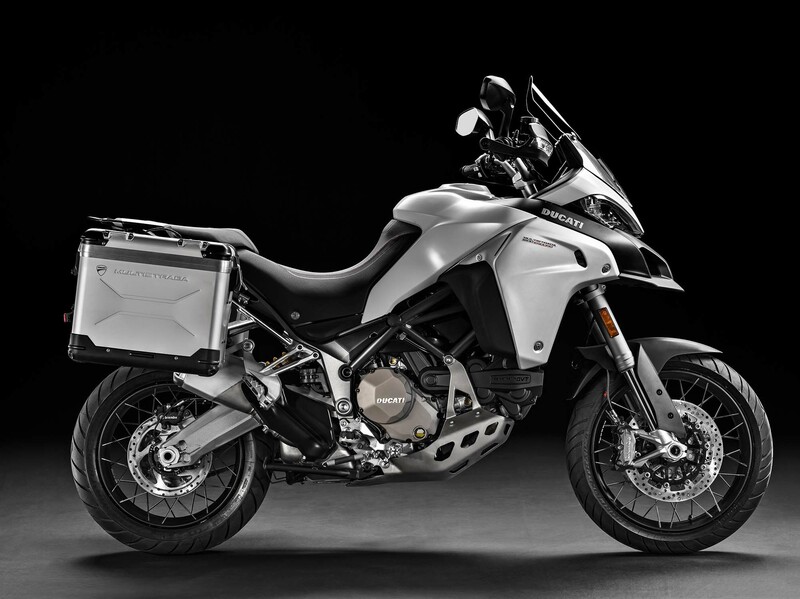 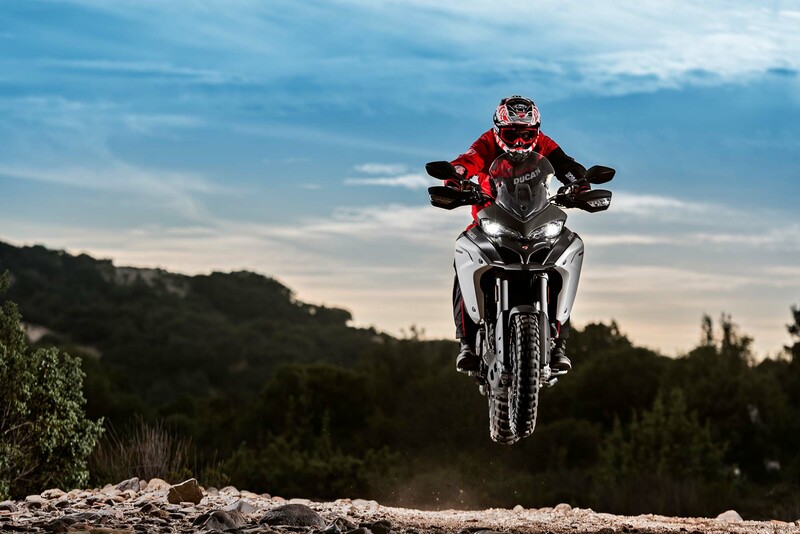 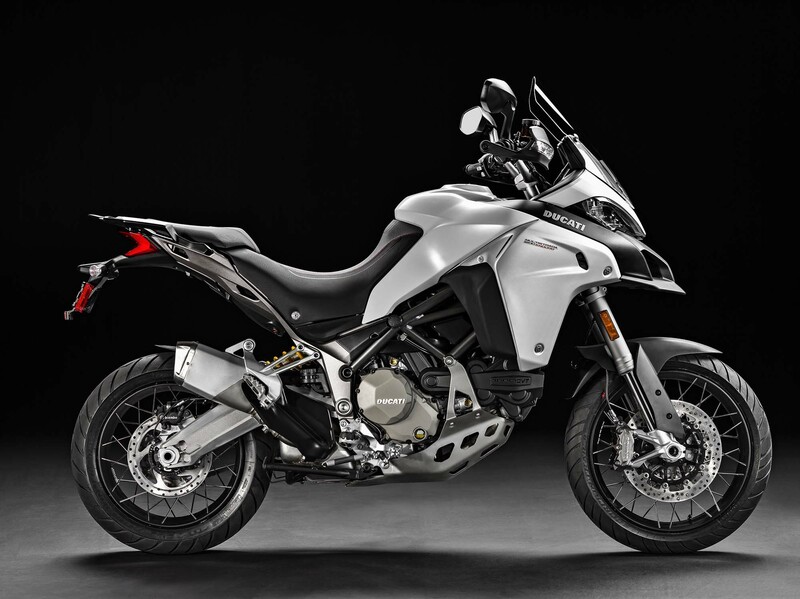 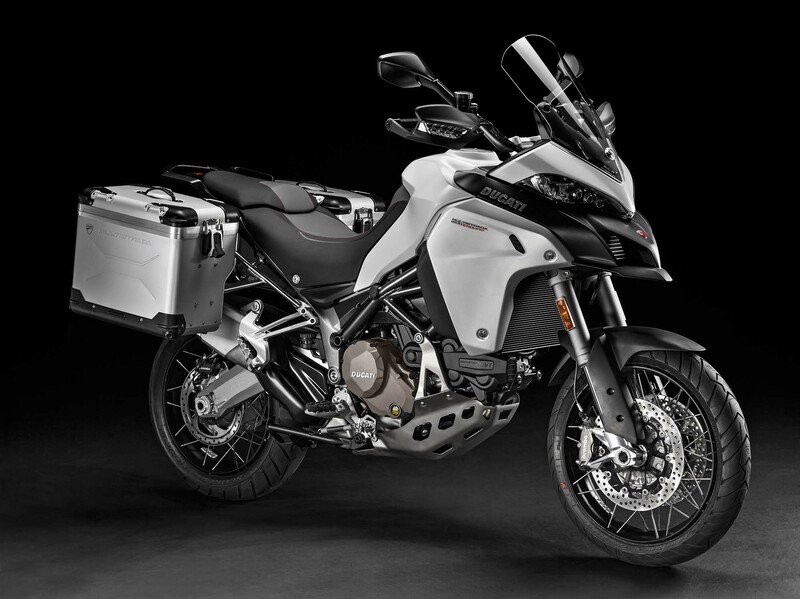 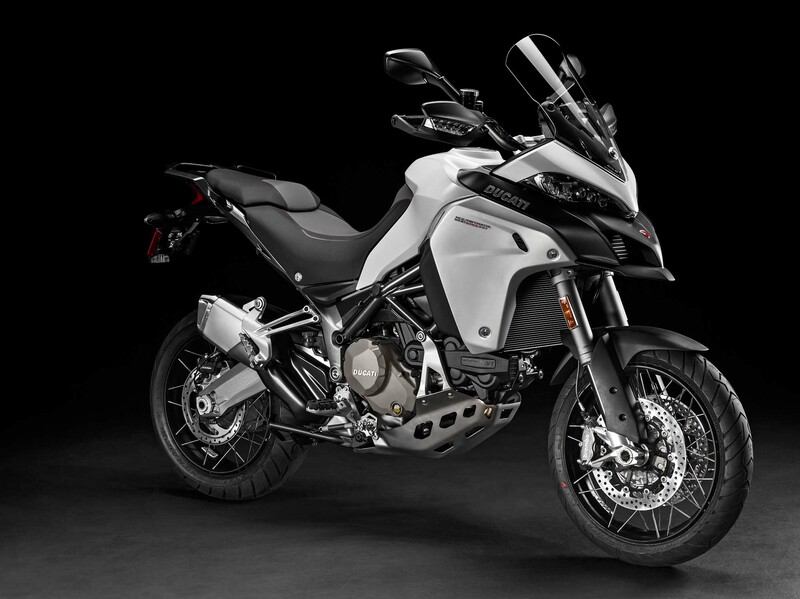 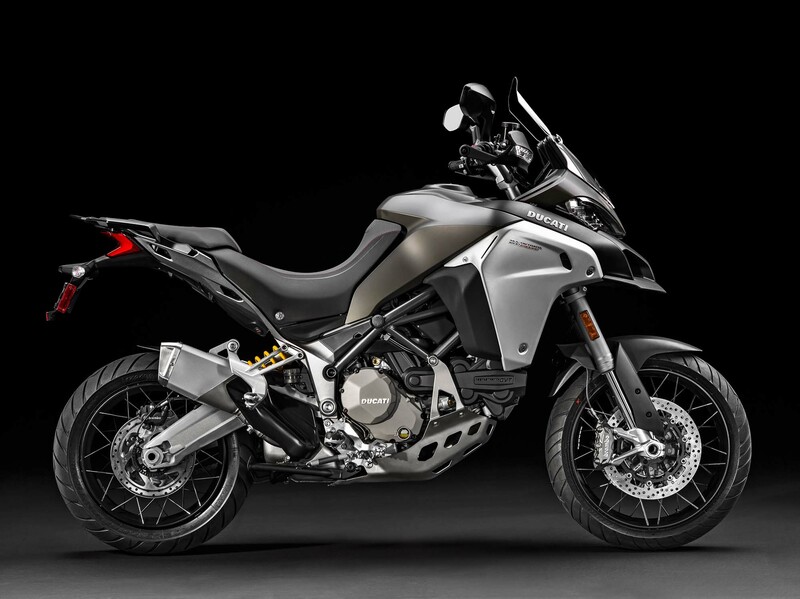 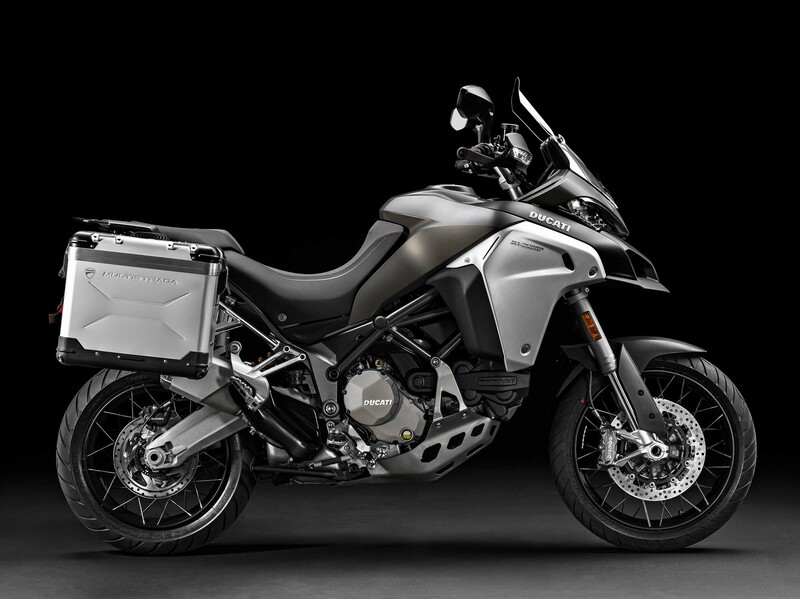 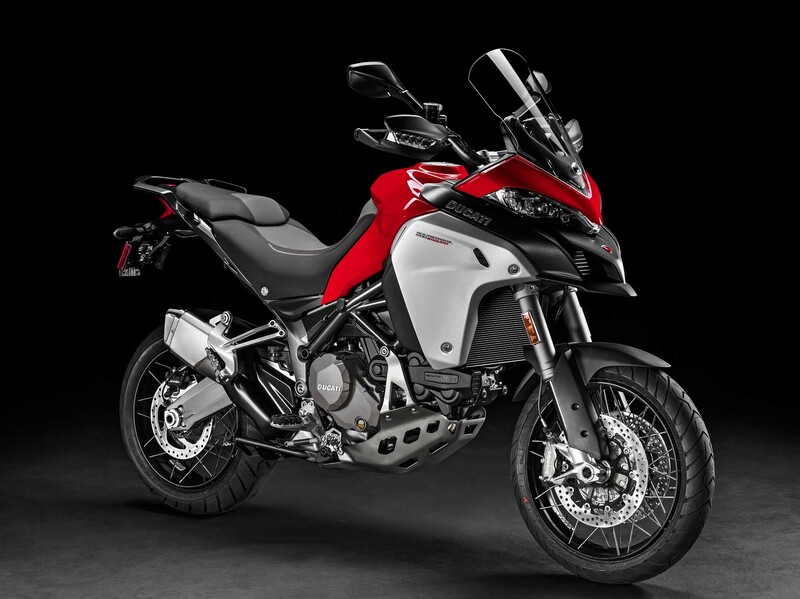 As we can see from the photos, there have been several changes to the Multistrada 1200 to make it more ADV capable, the most important of which is the double-sided swingarm, for added strength and rigidity. 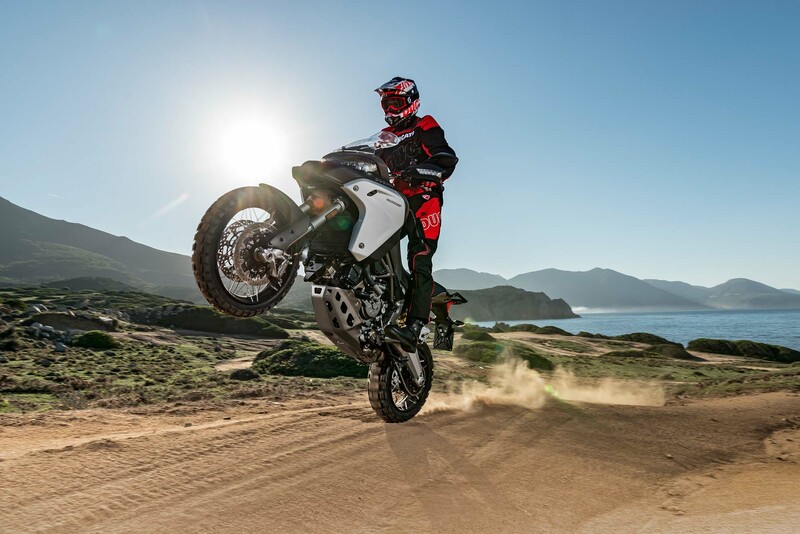 Other changes include a 19″ front wheel, shod with knobby tires, a skid plate, and a higher-mounted single exhaust can. 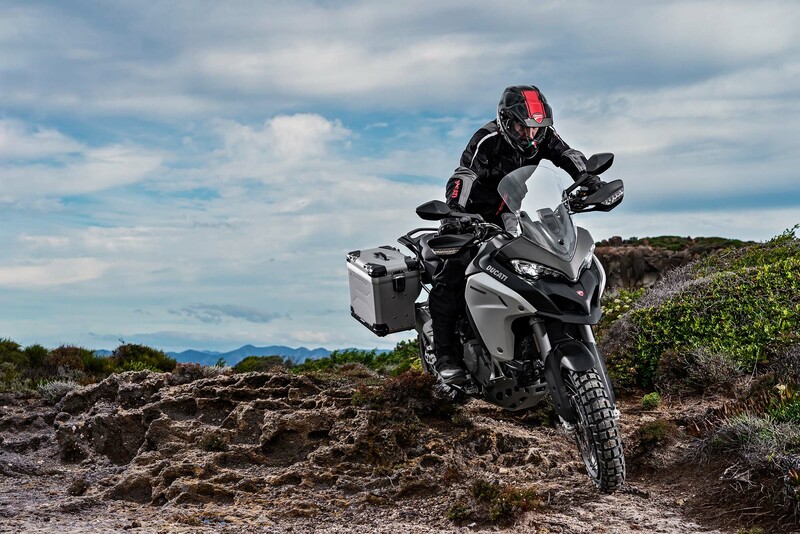 We are told the fuel tank has been punched out to 30 liters, which is almost 8 gallons – certainly enough fuel to get you properly lost in the great outdoors. 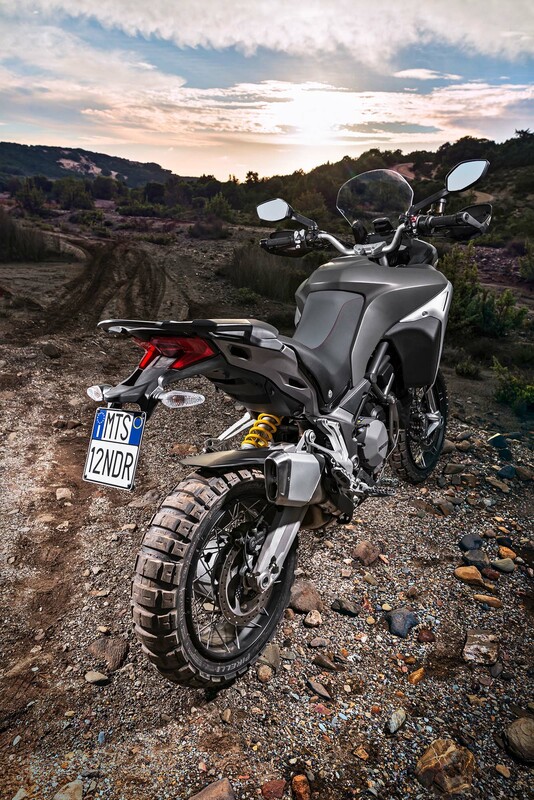 Of course, with any ADV bike, the scales are the machine’s worst enemy, as the Ducati Multistrada 1200 Enduro weighs a hefty 516 lbs. 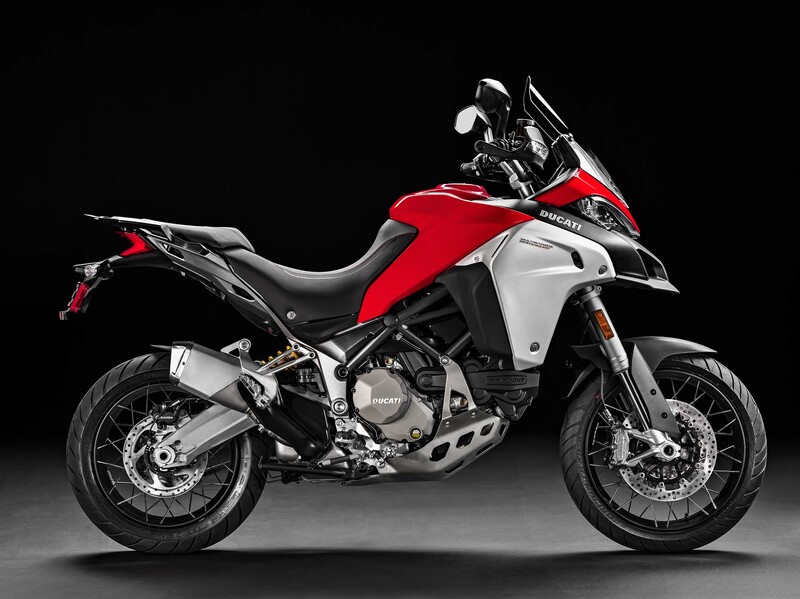 Powering the 2016 Ducati Multistrada 1200 Enduro is Ducati’s variable valve timing equipped engine, the Testastretta DVT. 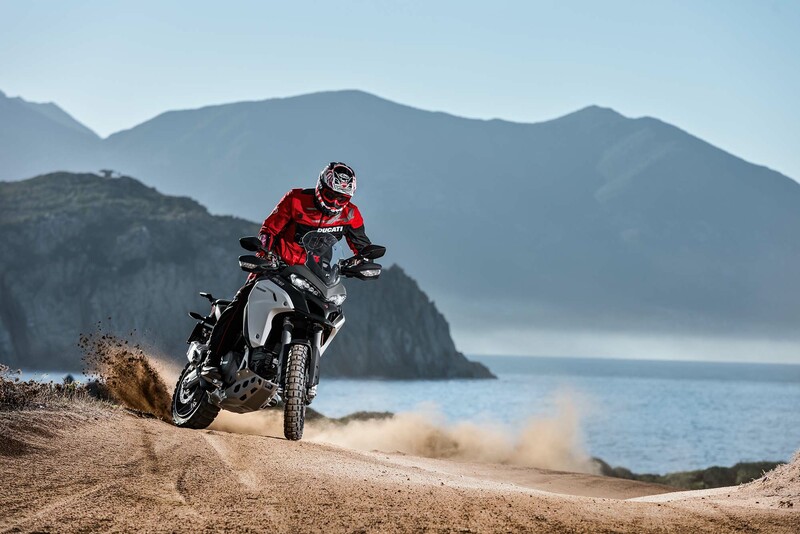 Like its sibling then, the Multistrada 1200 Enduro makes 160hp, but can taper the power via its different riding modes. 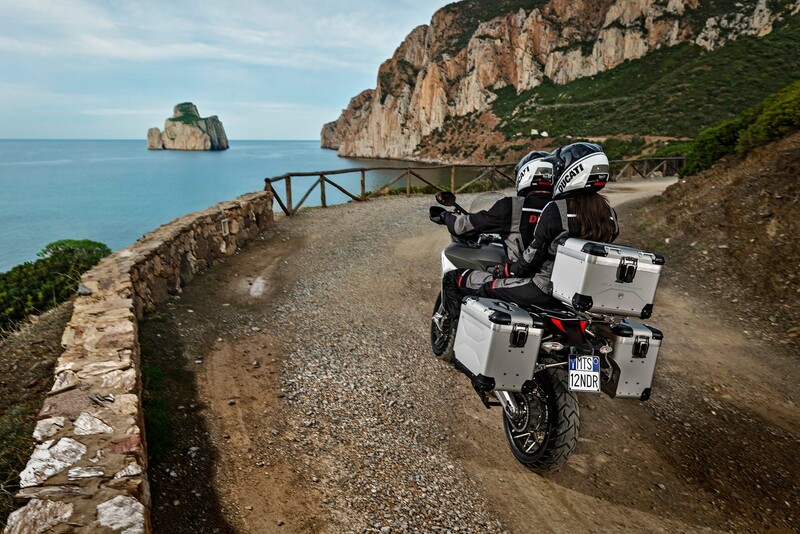 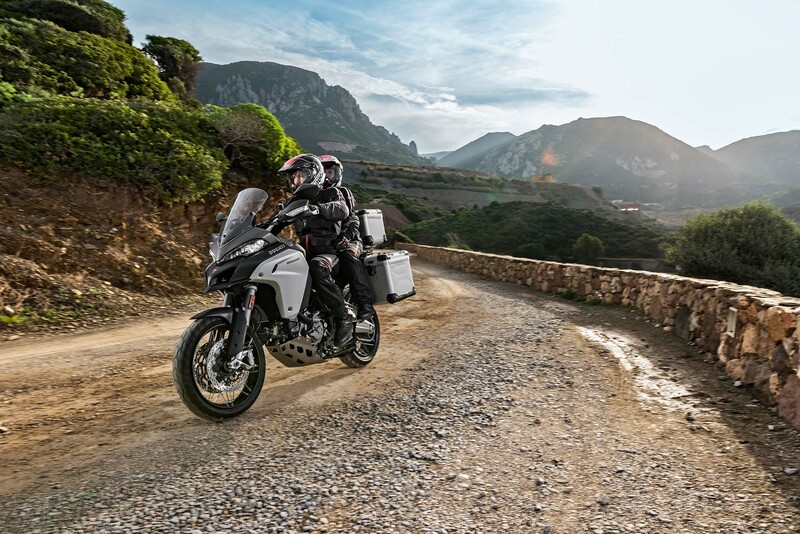 Beyond the reworked pannier support system and body pieces, one of the genuinely new features is “Vehicle Hold Control” which will help riders start the Multistrada 1200 Enduro on inclines and on slippery surfaces. 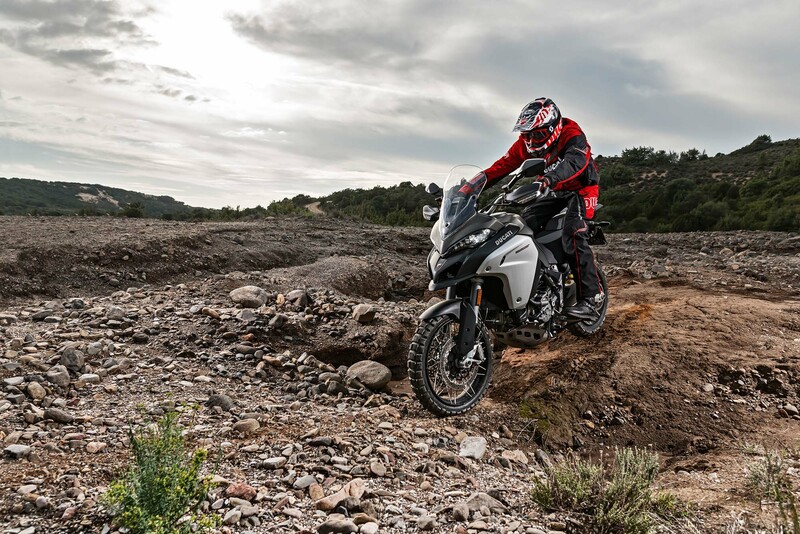 We’re not sure that you’ll be taking the Ducati Multistrada 1200 Enduro on safari anytime soon, but the 2016 model certainly looks more capable than its predecessor, and of course retains the same on-road prowess.